I was sitting here wondering what to draw. My feet were sticking out and I had a couple of books (Charlie Martz… by Elmore Leonard and Michelangelo and the Pope’s Ceiling by Ross King) and my sketch book on the bed. I figured, what the hell, and drew them. It gave me some practice drawing textured surfaces. 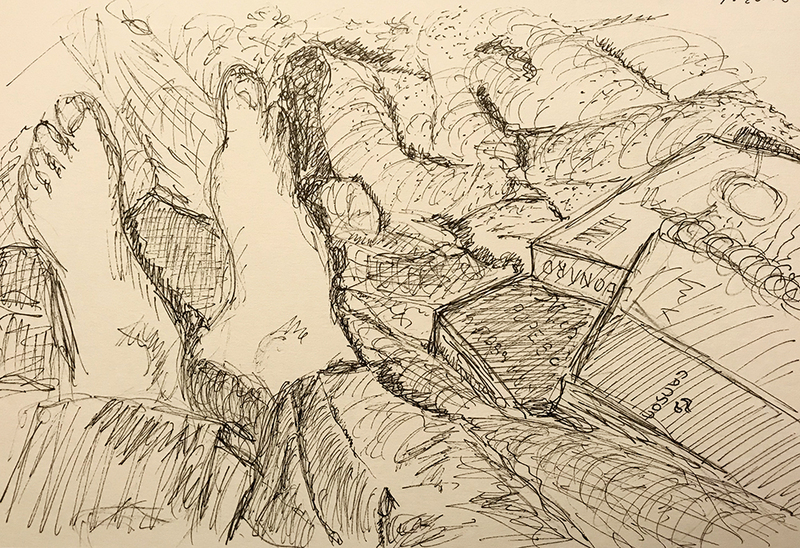 This entry was posted in Personal Stories and tagged art, artistic process, books, choosing a subject to sketch, creativity, drawing, pen and ink, sketching, textured surfaces, visual arts. Bookmark the permalink.